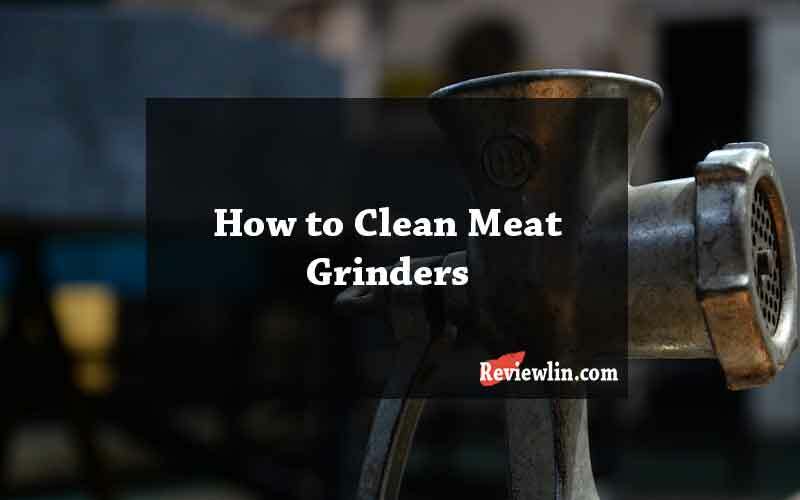 How to Clean a Meat Grinder Perfectly? So for your last house party, you decided to set up the dining table with some of your most delicious mince-meat pies? Did you get yourself a meat grinder with the intention of churning out healthy and nutritious minced meat, because, let us face it, the ground meat found in stores is often laced with preservatives and chemicals? Well, while the meat you minced turned out great, and everyone complimented you on your pie, the great question of how to clean the meat grinder has begun to trouble you. The issues could be similar if you purchased any of the commercial meat grinders. Let us look at a few tips that could help you understand the best ways to clean your meat grinder. Whether your meat grinder is hand-operated or electric, it should necessarily contain a feeder tube through which you are required to pass the larger chunks of meat that eventually are grounded by the machine. After the meat has been ground, carry out the following steps to ensure loose pieces of meat and some portions of oil remaining behind in the machine are immediately taken care of. Tip: While this step is not mandatory, it could make your life a lot easier before you start cleaning with soap and water. The type and number of parts that a meat grinder has may vary with brands, and it also depends on whether it is a manual meat grinder or an electric meat grinder. Either way, there are a few parts that are common to every machine, those are, the feeder tube, the blade, screws, plate, and meat tray. Ensure you disassemble each of these parts, and any other parts that you find are possible to remove. Meat has a lot of natural greases, and although cleaning with bread might help remove some of it, yet a lot of it still remains that have to be soaked in a cleanser for at least an hour. Follow these steps to prepare the cleaning liquid, and to soak the loose parts of the machine. Tip: Do not soak the motor if you have an electric meat grinder, as it could result in the damage of the motor. After soaking comes the real fun part – cleaning the parts. It is, however, not as difficult as it may first seem. Follow the easy process below. Use a simple dishwashing sponge to wipe any grime or grease from the parts. If it seems difficult to remove the stain, you could use a scrub. Be careful when you handle the blade, as it is sharp enough to cause you a major cut. With meat grinders, the process of maintenance does not end with cleaning. In order to ensure longevity and ease of future use, it is a requirement that you learn to store the parts well. Here are a few steps to follow. Store each part separately in a sealed bag. It is not essential to store the bags in a freezer, as goes popular belief, however, you could do it to quicken the grinding process the next time, on account of using a cold blade. If using an electric machine, which is the most common type for commercial meat grinders, you need to clean the motor separately using a damp cloth or towel. If there is grease stuck to the body of the motor, use a towel soaked in soapy water, and dab on the body cautiously, making sure you do not wet any wires or loose ends in the process. The next time you decide to grind meat, place every part of the machine on the counter, and follow the steps. Through effective use of a meat grinder, you could not just be a hit at your next party, but also ensure your family gets to eat healthy and tasty food every time you decide to make meatballs or nachos. In this day and age of toxins and pollutants, it has become important to eliminate as many chemicals as possible and eat a wholesome and natural diet. The cleaning process of a meat grinder may seem a daunting task at first, but once you get a hang of the process, it really is a set of simple steps to follow, which, with time, could fall into your routine. One important thing to ensure is that no matter how pressed for time you are after cooking, it is absolutely mandatory to clean the grinder after every use, as leaving the machine uncared for, with pieces of raw meat inside, could potentially give rise to harmful bacteria. By incorporating these few simple tips, you and your family could enjoy consistently good food as part of a holistic living approach.